Ok, so ive been debating to either go N/A or F/I and i made the decission to go balls out and boost. Now I'm going for 300-350 hp as a goal. I have BC stage 2 turbo cams, str cam gears and was planning on going with supertech dual valvesprings & ti retainers. 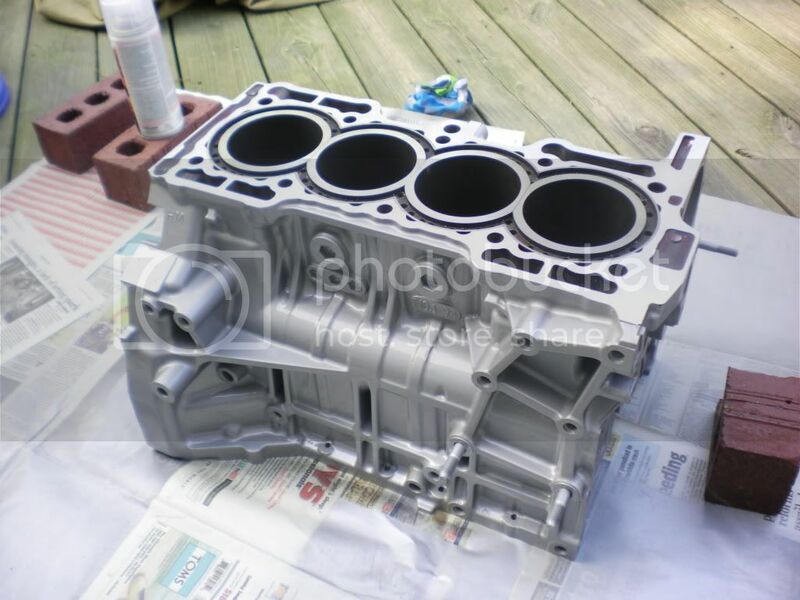 For the block im going with wiseco Pistons and eagle rods with a CR of 8:5:1. Now I have a place to PnP my head and the block and im stuck on one thing. Sleeves I see theres, wet sleeves, and dry sleeves. Now i havent seen anyone really cover this so can someone shed some light on this? well i think if your goal is 300-350 dry sleeves will do. btw what motor? h22? cuz if you got h23 or f22 eagle don't make rods for em. i went with flanged darton sleeves. and most reliable machine shops could do the job while at wet sleeves you'll have to find a place that'll actually do it. if you cheap out and look for any machineshop and they don't got the proper equipment and they decide to use your block as experiment then all that work and money will go to waste. but with 300-350 dry sleeves will hold up fine. what makes the wet sleeves harder to install and hold more power? 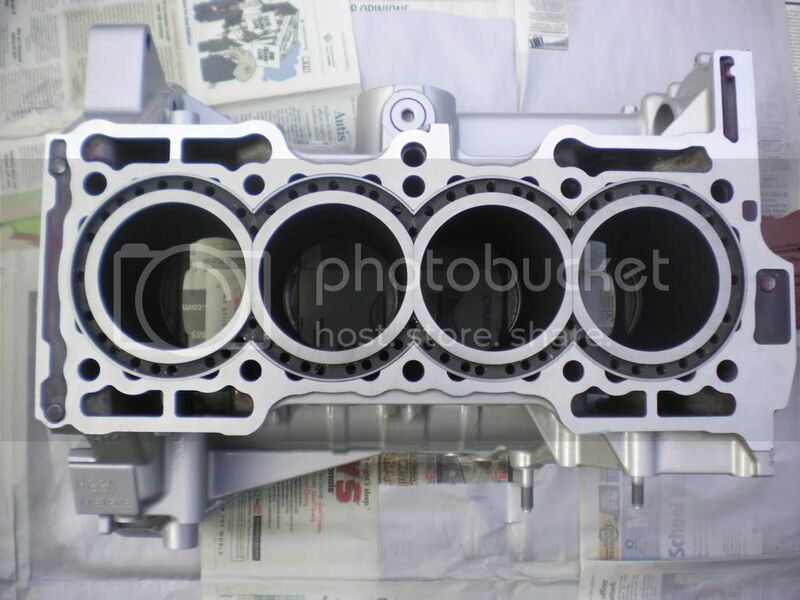 if your going "balls to the wall" 300-350 is just a laughing game for a sleeved block once you get the motor its self bullet proof hp is just a number you want at that point... a stock h22 can easily see 300whp with the proper tuning, i know many that have been @ 300whp for years on the stock h22 excluding fuel managments (obviously). so if you do all these things you speak of id shoot for atleast 400whp man. also wet sleeves are typically the way to go its all a prefrence but with wet sleeves your simply getting a more cooling efficent motor bc it allows coolant to to surpass very close to the cylinder walls. furthermore dry sleeves are essentially not doing this. theres two different styles from factory (typically) either a closed deck design or an open deck design... open deck motors are designed for this wet sleeve approach which dont quote me on this but i know the h22a4 and a1 motors are open deck, the h22a motors are in fact closed deck. unfortunatley factory open deck motors cannot hold up under intense amount of power bc the sleeves are not held in/pressed into the block its simply "open" on the other hand it gives coolant the capability to reach the outside cylinder walls. closed deck motors do the exact opposite it still has coolant ports just as any motor would but its not as efficent as an open deck design; however, the sleeves are pressed in and are 100 percent supported by the entire blocks integrity. on lets say the Darton MID wet sleeves it gives you the best of both worlds excluding the high hp capability its still a wet sleeve operation allowing more coolant through to the hottest area of the motor but also has the support of a closed deck motor bc its essentially closing it in like a block guard would and gives it a tremendous no play design. heres a pic of H22A sleeved with darton MIDs (wet sleeve operation) also decked and hot tanked. then painted by yours truly. Last edited by HpreludeH; 04-08-2012 at 11:45 PM. ^ how much did that cost you?? hehehe ;)... lol jk it all depends on the machine shop dude they typically are gonna reccomend a hot tank and decking service any way and that these days is relativly cheap, the sleeving process typically can range from 75-200 per sleeve so multiply by 4. then add the price of the sleeves you want. on average machine shope will probably charge 100 per sleeve atleast thats the price typically around my area. hope i helped! yeah not a prob man! to save money they have sleeves that can be pressed into your block darton makes them as well and they can save you a bunch of money as far as sleeving your block man if a budget build is on your mind these sleeves are the way to go in all honesty. Last edited by burntmushu; 04-09-2012 at 10:31 PM. yeah you shouldnt run into any problems with that man, i was gonna run 8.5:1 C/R but i didnt want much turbo lag and kinda wanted a nice smooth transition so my tuner highly highly reccomended 10:1 he said hes tuned turbo cars with a higer compression ratio than that and said even on the stock jdm h22a you still shouldnt have any problems so im looking forward to getting the 10:1 pistons but "to each their own" good luck with everything man! Last edited by Sychechkamoya; 06-07-2014 at 09:24 AM.